Oh no! Is anyone Injured? You’d be surprised how often people do not check on everyone to see if anyone has been injured at an auto accident. Tigard PD will gladly assist you to safety. Elevation Chiropractic will assist you back to wellness! Have you recently experienced an Auto Accident? Dr. Justin Davis, your local Tigard Chiropractor, chats with us on the importance of proper adjustment and care after an auto accident. The seasons are changing! As summer slowly draws to a close and fall’s colors begin unfolding a few things change, specifically in regards to driving: weather gets colder, roads get wetter and sometimes icier, and the sun goes down a lot earlier. All of these make for fun fall conditions, but it also puts us as Oregonians at a higher risk of an auto accident and injured parties, specifically for us located in Tigard where there always seems to be traffic congestion. Chiropractic is regularly used for auto accident treatment, and it is becoming much more common these days to see the combination of massage and physical therapy type exercises added into it as well. 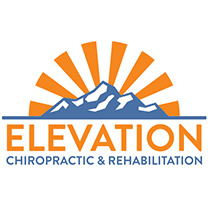 This gives a much more all-encompassing treatment approach, which is exactly what we provide at Elevation Chiropractic and Rehabilitation. We have been treating injured auto accident sufferers with quality chiropractic care for years, and have great results with our Big 3 Blend of treatment. It is comforting to see that more and more clinics in the greater Portland area are shifting away from the basic chiropractic care for auto accident injuries and are now starting to add more depth to their clinics with the same type of treatment that we offer. Even if you don’t use our chiropractic clinic for your auto accident pain, then definitely look at a potential clinic’s website, read the reviews, and decide for yourself if they offer the thorough and comprehensive care (chiropractic, massage, physical therapy) that has been shown to work so well together. Learn more about the future of Chiropractic care here.